It’s mid April and although Spring officially began a few weeks ago, Chicago’s weather didn’t get the message. We woke up to snow this morning and it’s making me wish more and more for warm, sunny days and time spent outside. 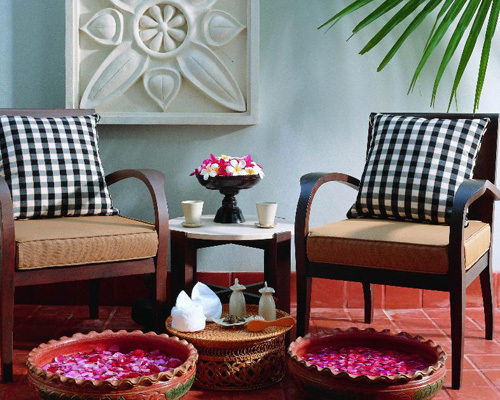 Here are some beautiful outdoor spa spaces to get my mind off our wintery morning, and to inspire your dream spa. 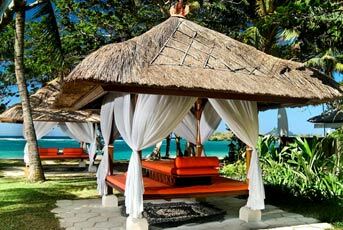 The Nusa Dua Westin Resort in Bali outdoor massage pagodas. The warm orange massage bedding really adds drama to this already beautiful space. 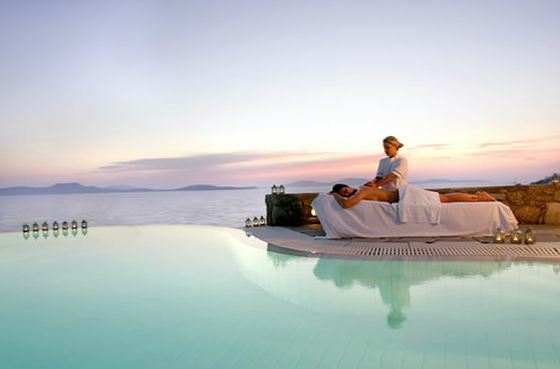 The Mykonos Grand in Greece at sunset. This massage room at the Four Season Koh Samui in Thailand blends nature with their interior with tall open windows overlooking the forest. The combination leaves the space feeling private and warm, while still having the airiness of the outdoors. 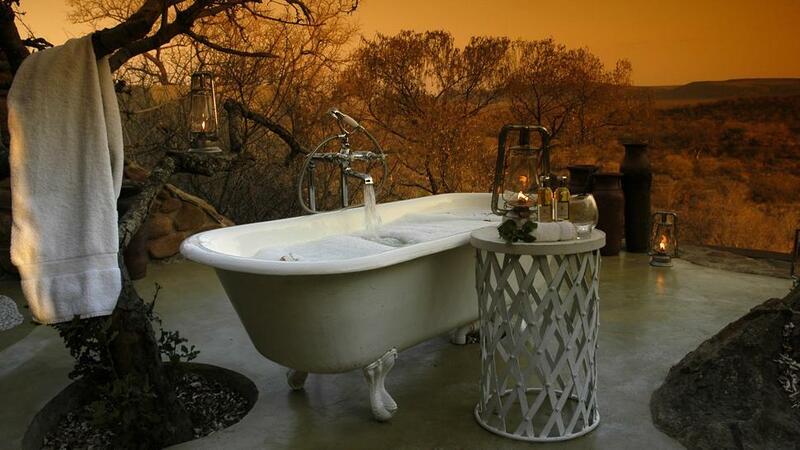 I couldn’t help but share this beautiful outdoor bath at the Madikwe Hills Private Lodge in Africa. Kick back, relax, and wait for an elephant to stroll by! 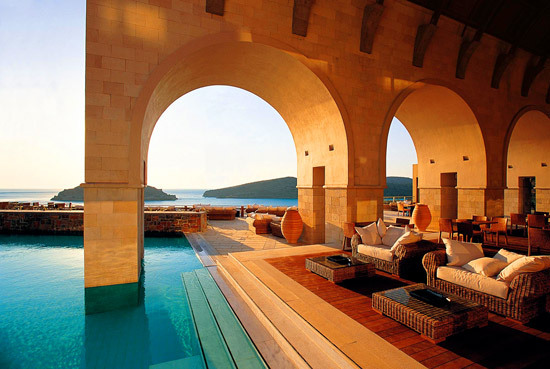 Meditation space at the Blue Palace Elouda Spa in Crete, Greece. I also had to share this amazing lounge area at the Blue Palace in Crete. Such a striking architectural space, you’ll feel like you’re sipping wine with the gods at this Grecian retreat. Happy Holidays from all of us at Spa Style! Wishing you joy, peace, and prosperity in the New Year! 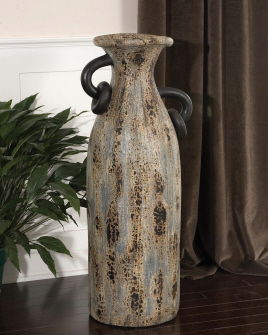 Dazzle your spa guests this holiday season with thoughtful additions to your decor. These cozy details will keep your customers coming back, even after the stockings and trees have been packed away! Invite lounging guests to kick their feet up and relax with a bold patterened ottoman. 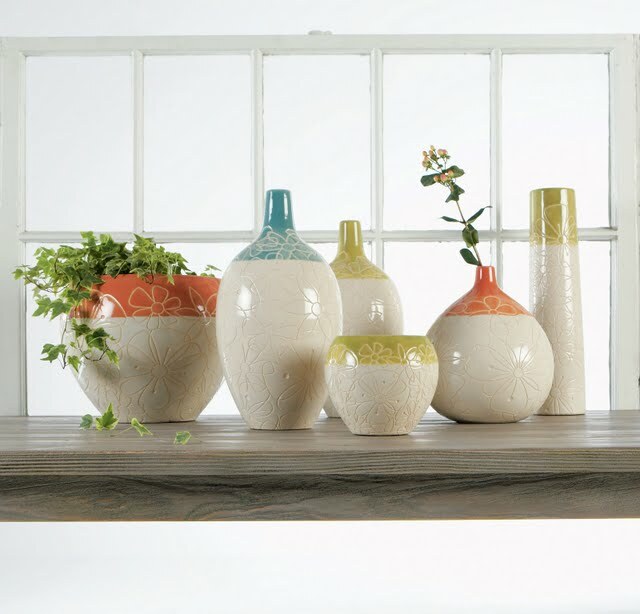 It’s a simple and afforadable way to add seating, color, and interest to your space. It’s that time of year when a cozy throw and a hot cup of tea can make even the coldest day feel cheery and warm. Pamper yourself and your guests to a fluffy, warm throw to snuggle up with. 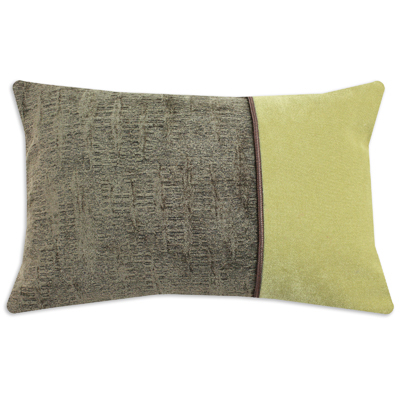 Add soft touches of color and texture with pillows. A mixture of patterns, solids and stripes give a luxurious and balanced look. 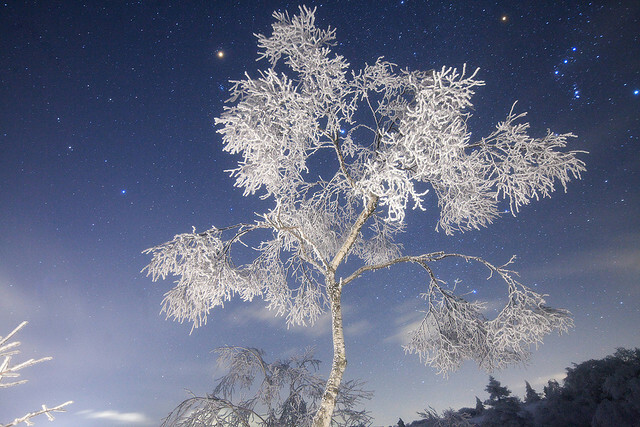 Soaking up the serenity :: Soaking tubs face a stone wall with cutouts gazing into the frosted forest outside. The Dolder Grand’s modern indoor pool. 1. Pour one gallon of fresh cider into a large pot on the stove or into a crockpot or slow cooker. 2. Add a half cup of brown sugar. 3. Place 1 teaspoon of whole cloves, 1 teaspoon of whole allspice, and 3 cinnamon sticks on a square of cheesecloth or coffee filter and tie up. Add to the pot. 4. Heat the cider to a boil, stirring regularly. Leave the pot uncovered so that you and your family or guests can enjoy the warm, delicious aroma. 5. Once the cider boils, lower the setting to simmer for at least another 15 minutes to allow for thorough infusion of the spices. Stir occasionally. 6. Remove the spices from the pot and ladle hot mulled cider into mugs. Sip, relax, and enjoy! Sleek and contemporary with touches of baroque, black is definately back. Softer and more sophisticated, today’s black has hints of aubergine, olive and chocolate hues. In direct contrast from the past’s trendy white spaces, bold black makes a strong dramatic statement and offers extravagance and theatrics for a devine spa experience. Today’s black is all about high constrast and lots of darkness. Interesting lighting is the single most important detail for creating an alluring and comfortable spa environment when designing with black. 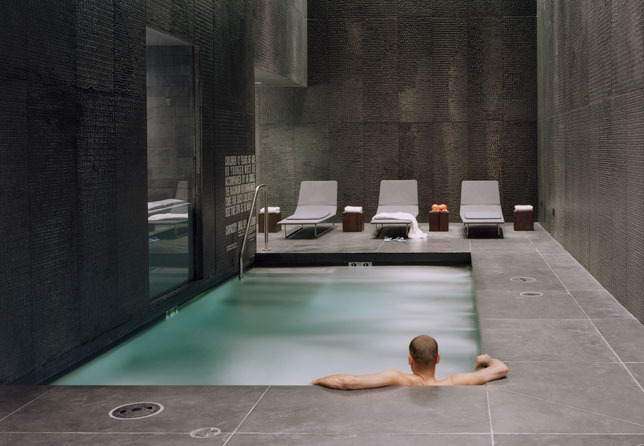 Soothing and tranquil, charcoal and ebony create the framework for a renewed water experience. The Bathhouse is one of my favorate spa escapes! This is definately NOT your basic black! 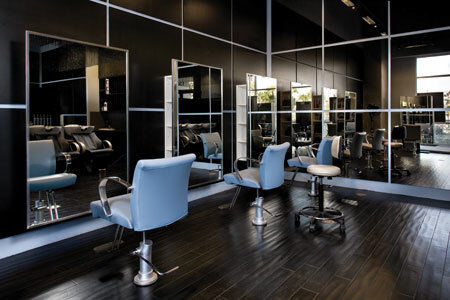 Award wining Globe Salon in Las Vegas does black right. A beautiful chandelier, pendant, or wall sconce adds opulence to a dark space. The new Caviar Cluster chandelier is the perfect compliment. For classic, refined style look to the Pinstripe Collection. 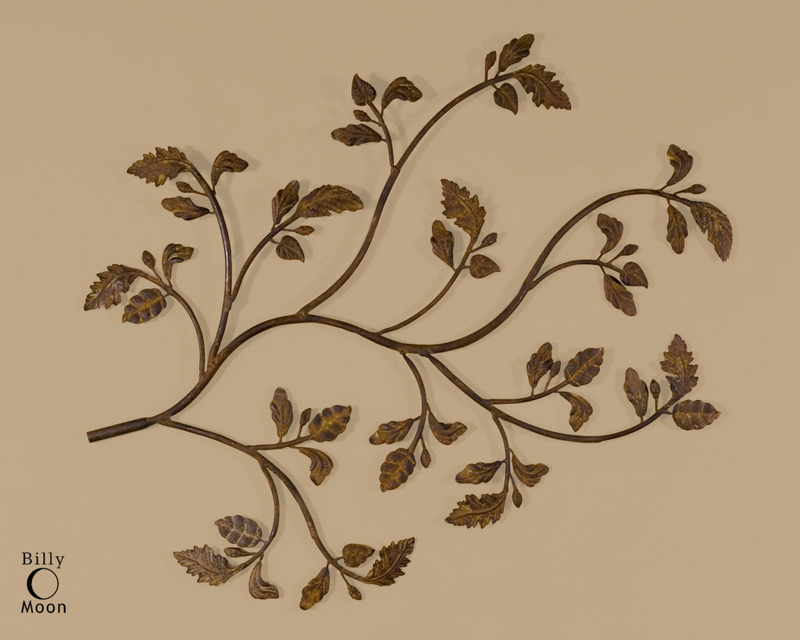 Modern lines are paired with organic iron flowers in the Stella wall sconce. Creating a memorable & relaxing atmosphere is an important part of every spa owner’s business, and the spa lunch is no exception. Whether you offer a few snacks or a full menu, taking a little extra time to prepare a beautiful table setting will make your guests feel extra special and pampered. 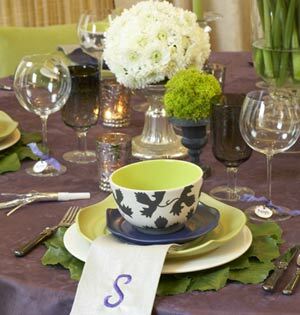 Create a fresh color scheme with napkins, artful vases, bright blossoms, and natural elements. 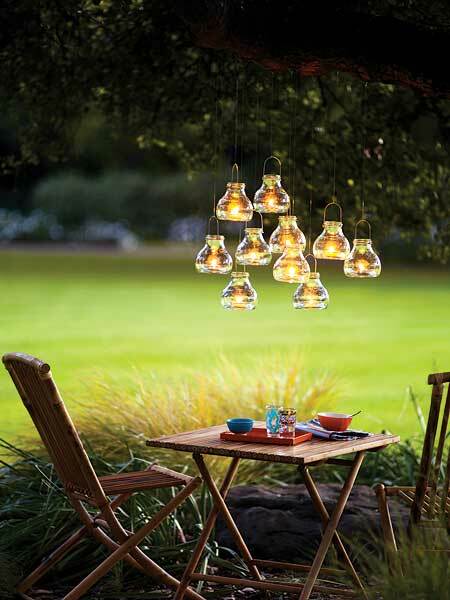 Keep your delectable dishes and desserts safe outdoors with Tara Glass Domes. An inspiring table setting by Colleen Mullaney. If you haven’t already added spa lunches and snacks to your menu, consider introducing catered snacks and lite lunches to your spa packages.